C.J. Bryce led the Wolfpack With 21 Points. PITTSBURGH (AP) - C.J. Bryce scored 21 points, including three free throws in the final 10 seconds, as North Carolina State edged Pittsburgh 79-76 on Saturday to snap a three-game losing streak. Bryce went to the line with the Wolfpack (17-7, 5-7 Atlantic Coast Conference) holding onto a one-point lead and 9.9 seconds left. He calmly drained both free throws in front of the blacked-out T-shirt student section. N.C. State opted to foul ahead by three. Pitt's Sidy N'Dir made just one of two with 7 seconds remaining. Bryce grabbed his seventh and final rebound and made one of two with 5.5 seconds left. N'Dir collected the rebound and weaved his way through traffic but his off-balance 3-pointer from outside the top of the key was left all the way as time expired. Braxton Beverly made five of N.C. State's 14 3-pointers on his way to 17 points. Torin Dorn chipped in 13 points, DJ Funderburk added 12 and Markell Johnson scored 10 for the Wolfpack, who have won eight straight over the Panthers. Xavier Johnson led Pitt (12-12, 2-9) with 17 points to go with five rebounds and four assists. Jared Wilson-Frame hit 6 of 7 shots to finish with 16 points, N'Dir and Terrell Brown added 12 each and Trey McGowens finished with 11 points but the Panthers ran out of gas in the final 90 seconds. Pitt had three chances to tie it during an extended possession with around a minute to go but Johnson, N'Dir and Brown all saw their potentially game-tying 3-pointers go awry. Johnson did make two free throws to get Pitt within 76-75 but the Panthers would get no closer. N.C. State pushed the advantage to 14 early in the second half before Pitt responded with an 18-2 surge led by Wilson-Frame and N'Dir to briefly go in front 61-59. The momentum didn't last. Dorn and Bryce knocked down 3-pointers on the Wolfpack's next two trips and while Pitt managed to tie it a couple of times, the Panthers couldn't quite sneak out in front. N.C. State: A week after scoring just 24 points in a forgettable home loss to Virginia Tech, the Wolfpack are back to stroking it. They scored 96 in a loss to North Carolina and found little trouble knocking down open shots against the Panthers. Pitt: The Panthers remain engaged under first-year coach Jeff Capel but the losses are starting to pile up. Pitt has lost seven consecutive games, the last three all by 10 points or less. 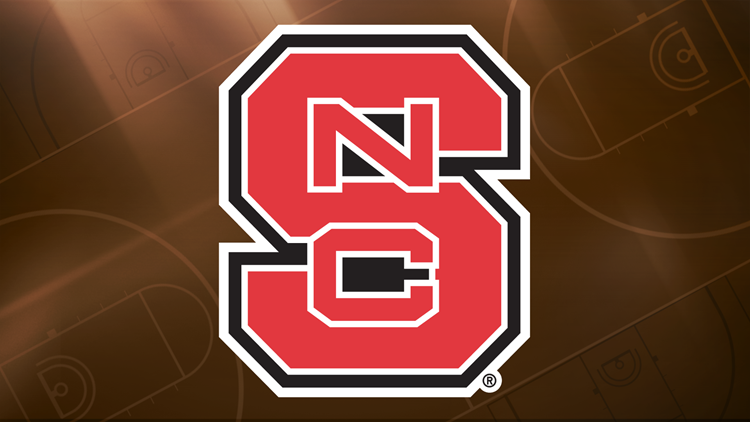 N.C. State: Hosts Syracuse on Wednesday at 8 p.m.